Removal of asbestos containing materials (ACM) is a complex procedure that should be conducted only by a licensed Asbestos Contractor. 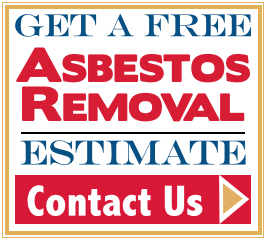 American Vets Abatement Experts has highly trained and licensed personnel that are ready to handle your asbestos removal and other abatement needs. The only way to be certain of the existence of potentially hazardous asbestos containing materials in your home or place of business is through an analysis performed by a project monitor that is certified by the state of CT. According to regulations, homeowners may handle or abate an area less than 3 feet or 3 square feet of asbestos containing material without a license. However, the improper removal and handling of the hazardous materials could cause them to circulate around the house creating risks to occupants and visitors. We strongly recommend that you get professionals to address your hazardous materials issues for you. Asbestos is the name given to a group of naturally occurring minerals used in certain products, such as building materials and vehicle brakes, to resist heat and corrosion. Asbestos includes chrysotile,amosite, tremolite asbestos, anthophyllite asbestos, actinolite asbestos, and any of these materials that have been chemically treated and/or altered.1 There are thousands of Asbestos Containing Materials (ACM). On July 12 1989 the Environmental Protection Agency (EPA) issued a final rule in which most Asbestos Containing products were eliminated.